JUET 2019 Application Form Online & Offline Application Form has been Released for Various Courses. 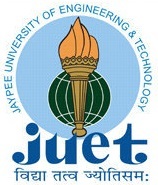 JUET is referred to as Jammu University Entrance test it is a privateUniversity. JUET offer candidates to Post Graduate Degree (PG), PG Diploma and Under Graduate Programs. Jammu University conducts the JUET 2019. Based on the Merit in the qualifying exam and JUET entrance test candidates will be given admission. Candidates will find here JUET2019 details including Application Form, Fees, Eligibility Criteria, Exams Dates, and How to apply. JUET 2019 Online & Offline Application Form has been Released. Check Below for Apply. JUET 2019 Application Form can be obtained through both Online and Offline mode. Candidates have to fill and submit the application form before the due dates as mentioned. Candidates have to arrange soft copies of Passport Size Self Photograph and Signature (Size Max 100kb and Minimum 2kb in jpg file format) before proceeding to fill up the application form for JUET 2019. Candidates need to make ensure that they fulfill eligibility criteria as per the degree/diploma program applying for. Application form fees for general category is INR 700/- and INR 600/- for SC / ST category applicant. For self-financing admission seats, candidates will have to pay INR 600/- additionally. Bank charges are not included in the fee and will have to be borne by the candidate as per the bank norms. The application form will be treated as provisional until it is reconciled with the bank. The reconciliation process will probably take 3-4 days. Candidates have to keep checking the status to the application on www.juet.inwho have deposited application fee offline via Bank Challan. If within a week submitting the application fee of JUET via the offline method, the status of the application is not changing then immediately contact to Jammu University. Candidates should know about the Application Form for JUET 2019 and other all details. Here in below scheduled, we have provided the exam date of JUET 2019. Exam dates like of JUET 2019 Application Form Availability, Last date of Submission of Application Form and Admit Card Availability, etc. JUET 2019 Eligibility criteria are differed widely as per the program of study under Jammu University. Candidates will get to know about the detailed information on eligibility criteria from the official website of JUET i.e. www.juet.in.JUET 2019 eligibility criteria differ for courses so check it properly. JUET 2019 application process for online submission of filled JUET 2019 application form can be performed in easy steps which start from online registration on the official website of Jammu University for JUET 2108 i.e. https: www.juet.in. After Application form submission a Payment Challan is generated. If the applicant wants to pay offline, he should take print of the Payment Challan. Basic information about the applicant will already be printed on payment challan. Deposit Fee and keep a hard copy of fee challan issued by the bank, as this will be in use during future references. If you have any other Questions related to JUET 2019 Application Form, you may ask your Queries by commenting below.